Cordless Electric Kettle Just $39.95! Down From $95! PLUS FREE Shipping! Don’t miss this deal! Amazon offers this Epica Cordless Electric Kettle for only $39.95, down from $94.95, PLUS FREE shipping! An inviting cup of coffee or tea provides sensitive balance. However, most kettles boil water that is too hot, scalding the delicate leaves. The Epica Cordless Electric Kettle is designed for boiling the ideal water temperature for steeping each of the tea varieties to bring out their best flavor without bitterness or scorching. It is built with 6 variable temperatures to coax the very best flavors from your favorite hot beverage. It has a one-touch two-hour setting that keeps up to 7 cups of water nice and hot. Experience a kettle designed to a tea to fit your office or your kitchen! CREATE FOR BETTER TASTING TEA AND COFFEE SINCE IT IS 100% BPA FREE: If you’re using the same-temp water for green tea as you are for your coffee, you’re missing out. Finding an ideal water temperature brings out the best flavors. With the Epica 6-temperature kettle, every drink you make can be a little closer to perfection. It even advises which temps to use for which beverage! FASTEST BOILING FOR WHEN YOU NEED A QUICK CUP: Only have a few minutes for break? Have someone drop by unexpectedly? Stop waiting 10+ minutes for water on the stove to get hot. This Epica kettle brings the heat quicker than any stove-top kettle. And with our Cooltouch handle and automatic shut-off, it’s perfect for offices or homes. SLEEK NEW DESIGN THAT BRINGS BEAUTY TO ANY COUNTERTOP: Designed with beautiful stainless steel design paired with an excellent build quality. This kettle is an attractive addition to any kitchen. At Epica, we know that you can’t just be the best. You also have to look good doing it. 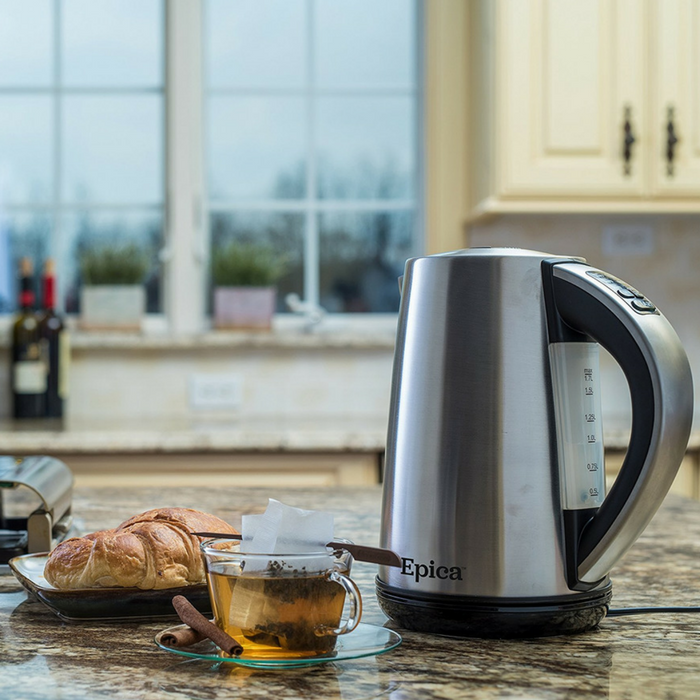 PROGRAM WITH EASE: The Epica kettle has a two-hour keep-warm button. It also has a two-minute setting memory that’s lightning fast to use, so your water is ready at the temperature you want whenever you need it. 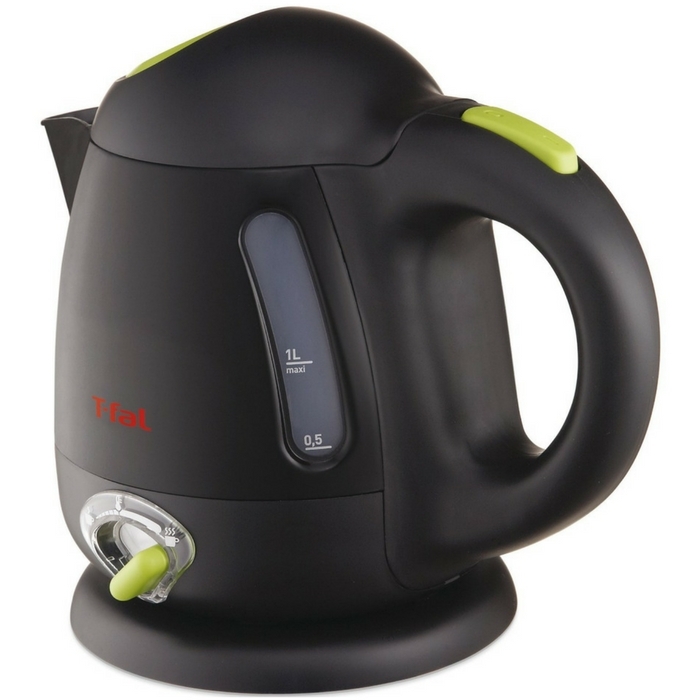 T-Fal Cordless Electric Kettle Just $18.99! Down From $50! Amazon has this awesome deal you wouldn’t miss! T-Fal Cordless Electric Kettle is now on sale for just $18.99 down from $50! Awesome, isn’t it?